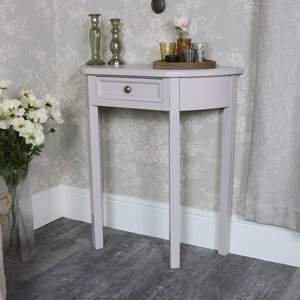 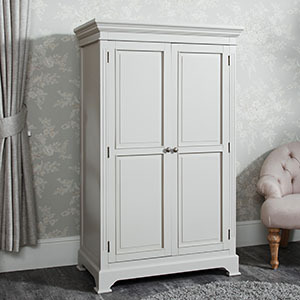 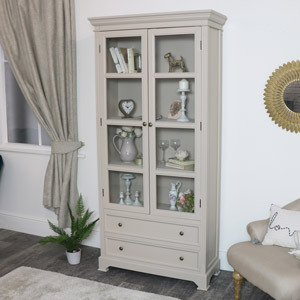 If you love classically elegant furniture with a simple design, the Daventry Taupe-Grey Range of furniture is for you. 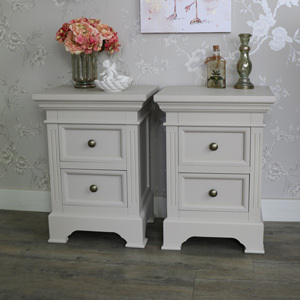 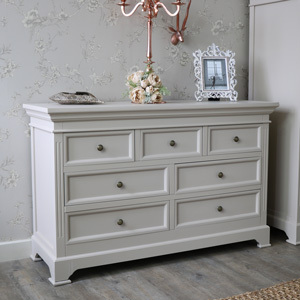 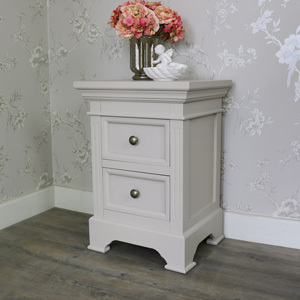 A beautiful collection of pale stone grey painted furniture with a smooth finish, grooved detailing and round brass style handles. 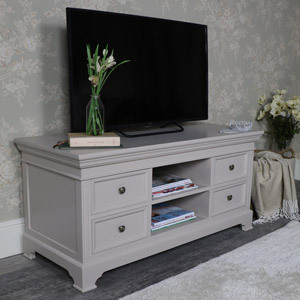 The Daventry Taupe-Grey Range is one of our most popular furniture collections due to its stylish colour and stunning design. 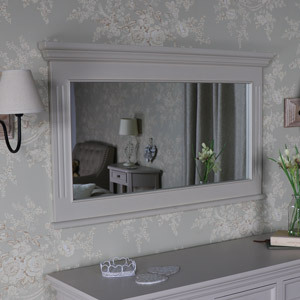 Items in this range are designed for bedroom, living room, dining room, hallway and office use. 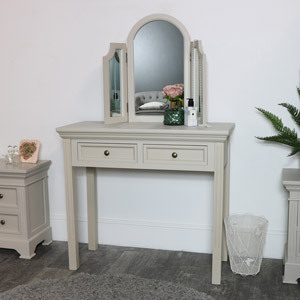 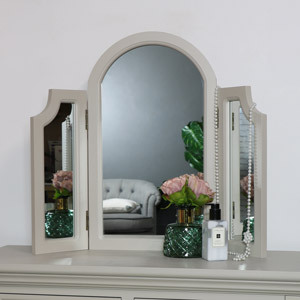 Items included in this range are a dressing table set, two different sized wardrobes, a TV Cabinet, a variety of chests of drawers as well as many other spectacular items. 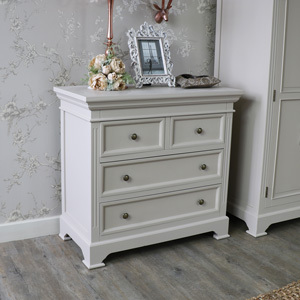 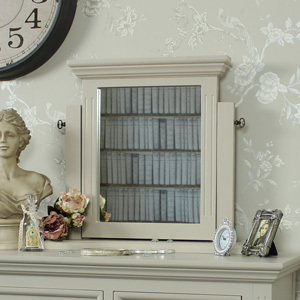 The Daventry Taupe-Grey Range can fit into vintage, modern, rustic, shabby chic or country style interior themes. 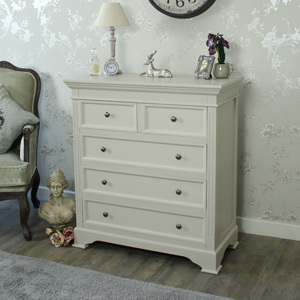 All Melody Maison furniture collections are made from high quality materials and are crafted with care.